It has been a good 5 years since I last visited Putien. My memorable of Putien has been their homely Xing Hua cuisine. It seems like during these 5 years, the culinary standard at Putien has been elevated to a new level. I was pleasantly surprised with the food during my recent visit to Putien at Ion Orchard to check out Putien Ingredient Festival 2016 with the Putien Duo Tou Clams Festival spearheading the celebration from April to August. 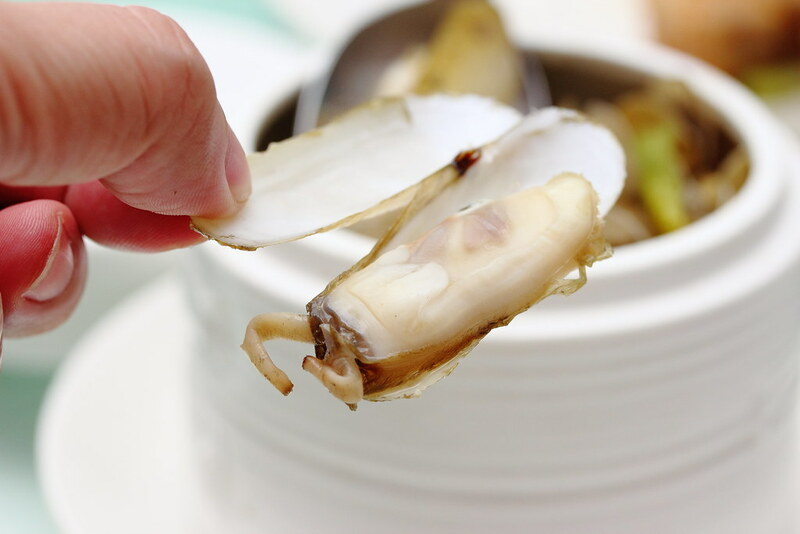 So what is so special about Dou Tou Clams? Apparently this unique specialty from Dou Tou Village in the Hanjiang district of Putian has over 600 years of history. The golden shell clams that are harvested are second to none mainly because of the rare black mud where they are bred, which is rich in nutrients, pure and with little sand particles. Hence the clams are especially plump and meaty, growing up to 6cm in length. 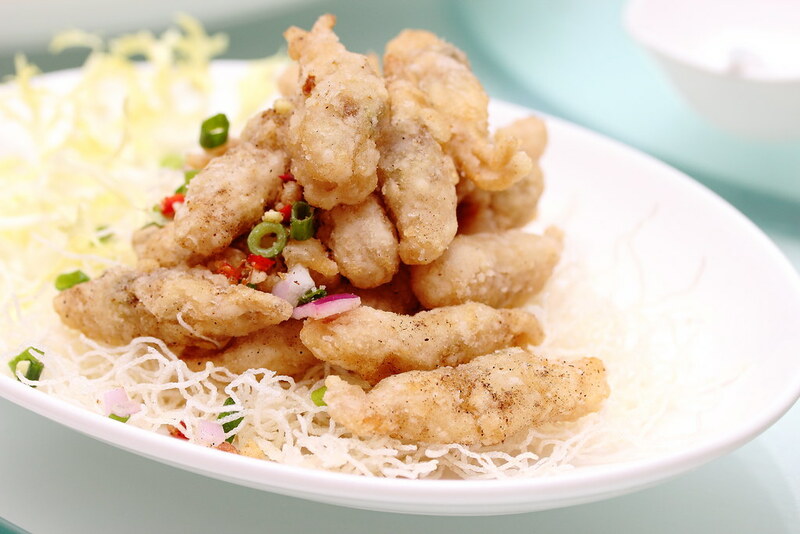 During the Duo Tou Clam Festival from April to August, Putien will showcase numerous way of cooking this delicacy. The Steamed Putien Clam with Minced Garlic ($20.90/$31.90) is steamed lightly with minced garlic, spring onion and chillis. To enjoy the sweetness of the clam, drizzled a bit of the soy sauce in the middle onto the calm, and eat it together with the minced garlic. The Steamed Putien with Wine ($20.90/$31.90) is filled to the the brim with Duo Tou clam. It is then steamed in a upright form with Hua Diao Chinese wine. 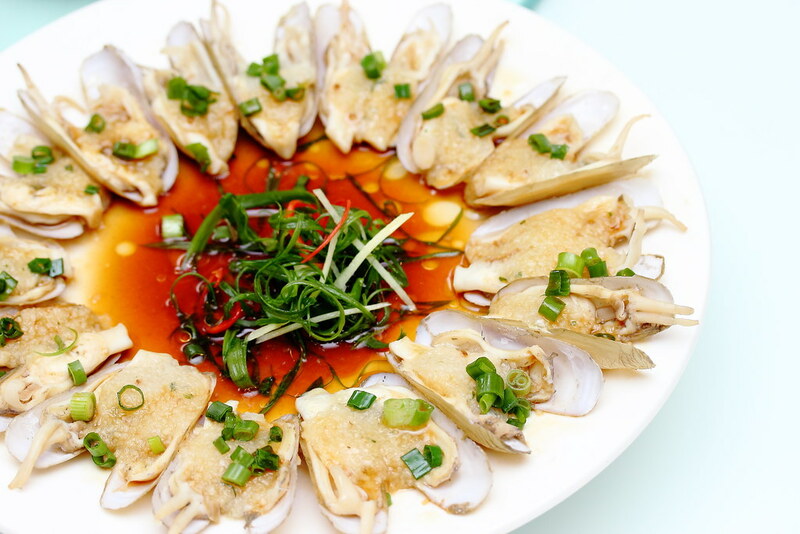 The natural sweetness of the clam is further perfumed by the aroma of the Chinese wine. That's not all, don't forget to drink the essence of the broth at the bottom of the bowl that collected the juicy of the clam. 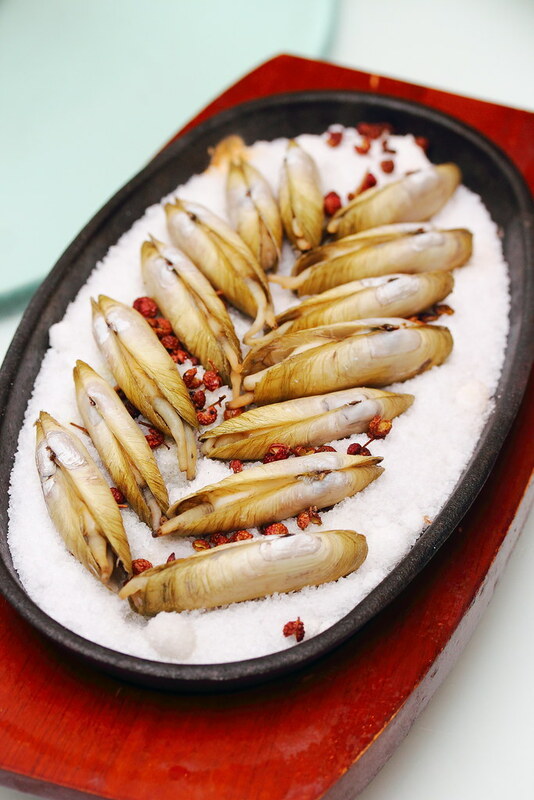 The Salted Spicy Putien Clam ($20.90/$31.90) comes with a flour batter coated around the Duo Tou clam and deep fried to crispy before lightly seasoned with salt and pepper. I thought the batter was a bit thick and I could not really taste the sweetness of clam which I got to enjoy in the other cooking styles. 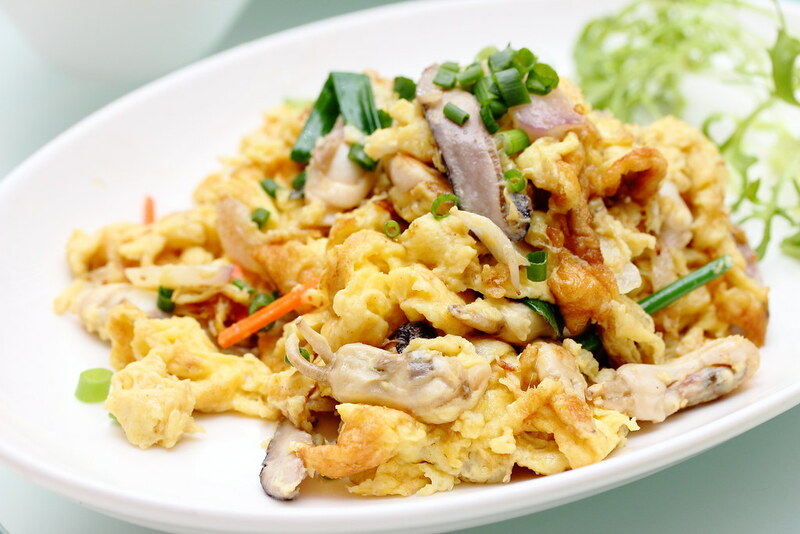 A reminiscent of home cooking, exactly the way how the people in the village in Putian enjoys it is the Putien Clam Omelette ($20.90/$31.90). A simple execution but has that comforting feeling of home dining. Must to pair it with the Putien homemade chilli sauce. The golden coloured shell of the Duo Tou Clam can be seen in this dish. 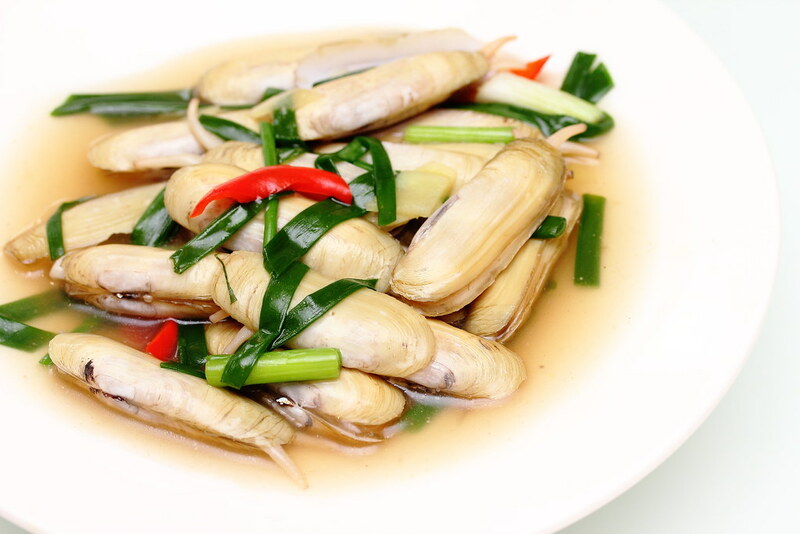 The traditional way of cooking the juicy and meaty clams is to stir fried it with ginger and spring onion. 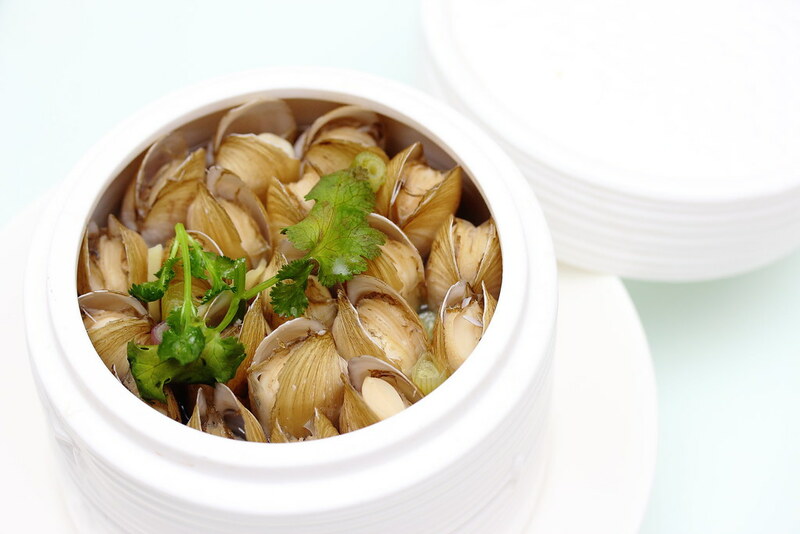 The Stir Fried Putien Clam with Ginger and Spring Onion ($20.90/$31.90) is wholesomely executed for the fullest appreciation of its natural sweetness. 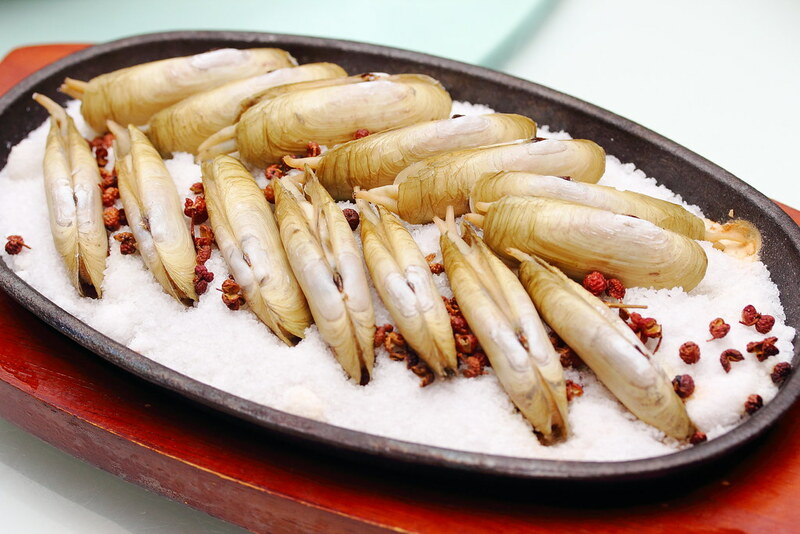 The Baked Putien Clam on Hot Plate ($20.90/$31.90) is the next best way to bring out the natural sweetness of the clam with a gentle dip of the sea salt. It felt like a gentle sea breeze blowing onto the shore, tantalizing the taste buds with a natural briny goodness. 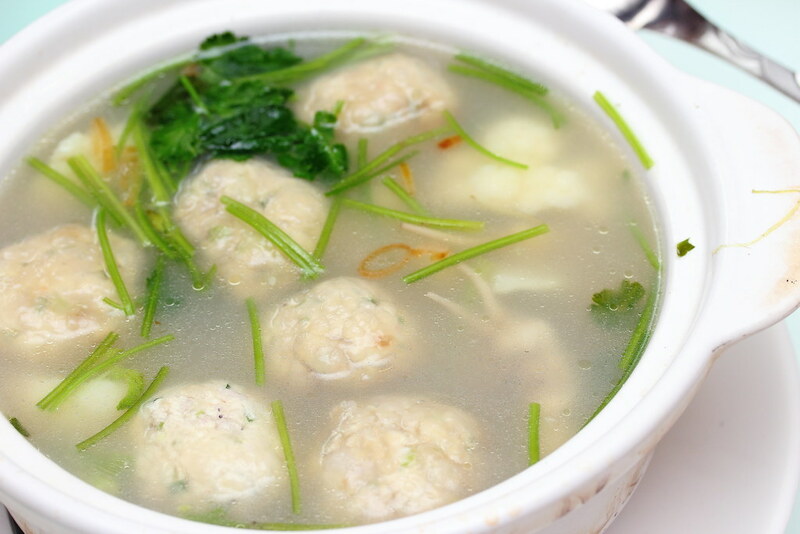 The Putien Clam Soup with Tofu Meatballs ($20.90/$31.90) is both comforting and hearty. The clams are boiled together with an assortment of cauliflower, snow peas, and tofu meatballs for the natural sweetness. While the soup is very refreshing and in which you can taste the sweetness of the clam, the other star is the tofu meatballs. Painstakingly made in house, this is one of its kind. The taste of soy bean together with the silky texture is a new for me and I could not hold my excitement in tasting something new and good in my food journey. Putien's Duo TOu Clam Festival will be available from April to August 2016. Savour the different ways of cooking this delicacy that is second to none with over 600 years of history. Do also look forward to other promotion such as Yellow Croaker Fish Festival such from July to September 2016 and Seaweed Festival from October to December 2016.